She proceeded to tell me how terrifying it seemed, how intimidating, and particularly how her husband had never felt comfortable or confident in any gym, and for sure wasn’t about to walk into a CrossFit box. And I completely understand. As someone who has struggled with low self-esteem (hello, me and the rest of the world, right?) I can admit that I probably wouldn’t have walked into a CrossFit gym if my husband hadn’t been trying to drag me along for three years. Let me repeat: three freaking years. That’s how long it took me. And dang, how I wish I’d started earlier. Oddly enough, this isn’t the first convo of its kind that I’ve had recently. Multiple friends have reached out, saying they love my posts but that CrossFit looks, frankly, terrifying. So here’s the deal: there’s nothing to be afraid of. Really. Truly. 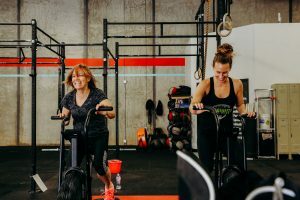 There are ninety-year-olds doing CrossFit, and seven-year-olds (mine!) doing CrossFit, and paraplegics and amputees, and people who are hundreds of pounds overweight. You can start exactly where you’re at. 1. It’s not dangerous, any more than playing a sport. I hear this all the time: “CrossFit is dangerous. It’s too much high intensity programming.” While classes last an hour, that includes warm-ups and movement prep. The actual workouts range from seven to twenty minutes, with the max being thirty minutes. You’re moving at a high intensity for thirty whole minutes of the day. That’s not dangerous, that’s recommended. 2. You don’t need a pre-requisite. Can I tell you the first time I ever picked up a barbell? On my first day of On-Ramp, a 2-4 week movement prep course that every member goes through before jumping into actual classes. I had never touched a barbell in my entire thirty years. It seems hilarious now, but I hope it’s encouraging. We will train you. It’s not scary. 3. No one is judging you. I know this is hard to believe, but one of my friends (who started CrossFit after I nudged her a few times – yay!) 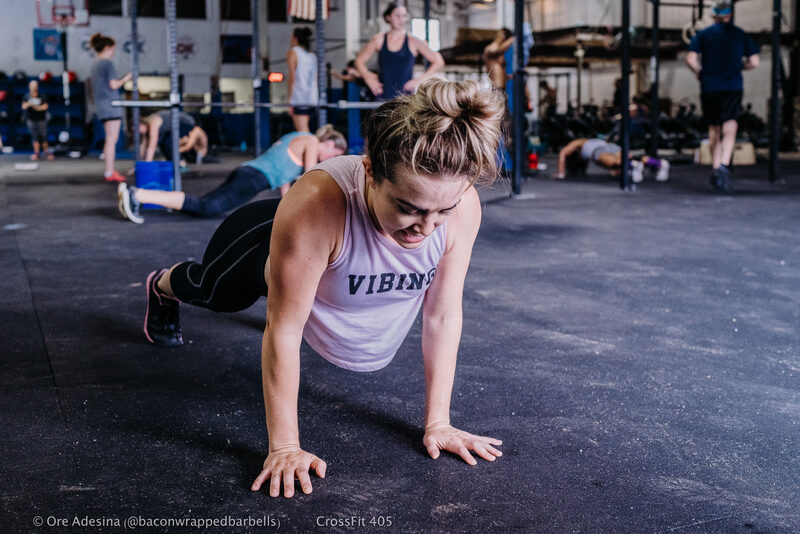 said the first thing she noticed when she walked into a CrossFit box was this: no mirrors. There are no mirrors for a reason. We’re not here to stare at ourselves and critique our bodies – we’re here to get work done. * And if your form is off, the coach will help you. I can’t even fathom working out in front of a mirror like I used to at my old gym. All that to say: we’re on the same team. The only person you’re competing against is yourself. We encourage each other, cheer and high five and yell ‘you got this’ a whole lot, so if that annoys you, welcome to the family. Whatever ‘level’ of fitness you’re at, we’ve all been there at some point. 4. It’s not your typical gym. No one is doing curls in front of the mirror, and there aren’t any treadmills. I don’t know about you, but that appealed to me. We run on the actual ground, we jump on boxes, we do pull-ups on bars, and we lift heavy stuff. There’s nothing fancy about it, and yeah, you’ll be quite sore, but you’ll still come back. 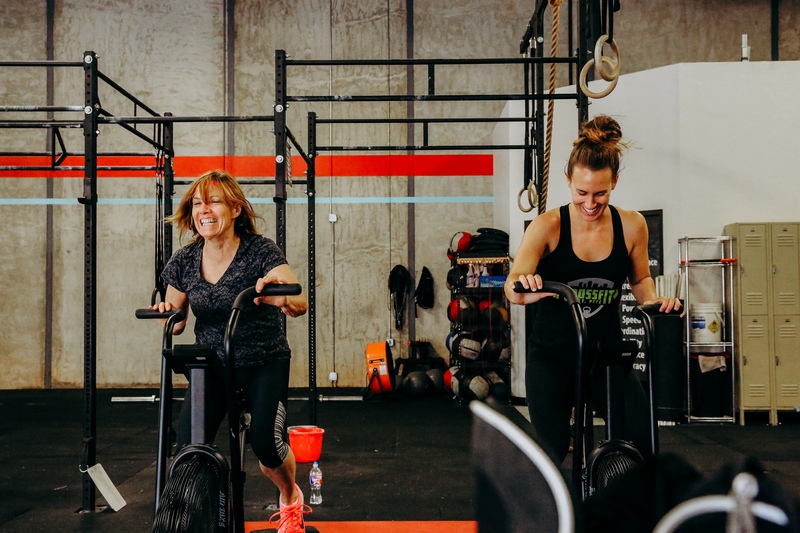 Because you’re not just going to a gym, you’re training for something; real life things, like lifting your luggage into the overhead bin, or picking up your six-year-old (which used to ruin me), or carrying water jugs up the steps to your apartment. It’s not scary, it’s just practical. 5. 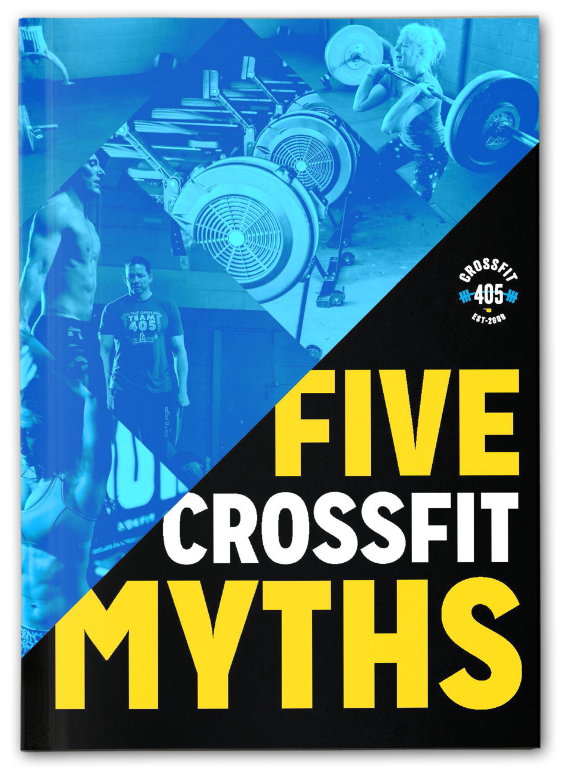 It’s hard, but it’s not that The most common of all the reasons not to do CrossFit: it looks too hard. Listen. There are hard things in life. Losing a loved one is hard. Finding out your spouse is cheating is hard. Going bankrupt is hard. CrossFit isn’t that hard. If you can lift something, if you can move your body in some way, if you can get to the box, you can do CrossFit. Every single move we do is scalable. Ask me what I scaled today and I’ll tell you, because I scale a weight or a movement on a daily basis. I hope all of this convinced you. CrossFit isn’t scary. The only thing scary about it is how persistent we all are in trying to get everyone we know to join. Not because there’s some incentive (there’s not) but because we actually believe in it. It works when you work. That’s all it is. Simple, yet effective. *To be fair: we all occasionally video ourselves because, shockingly, none of us know what we look like working out. 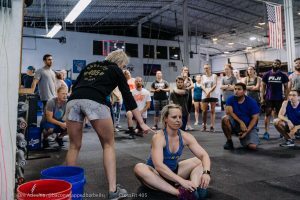 Can I even do a thruster? Why is my jump rope slapping me in the face every time? Did my chin make it over the bar during that pull-up? Let me video that ish.